Danny Lopez had defended his WBC world featherweight title eight times by February of 1980 when he stepped into the ring against the little known Mexican, Salvador Sanchez. Lopez was as gritty as they come, with a record of 42-3 and a thunderous punch. In fact, Lopez was written in at number twenty-six on Ring Magazine’s list of the one hundred greatest punchers in boxing. 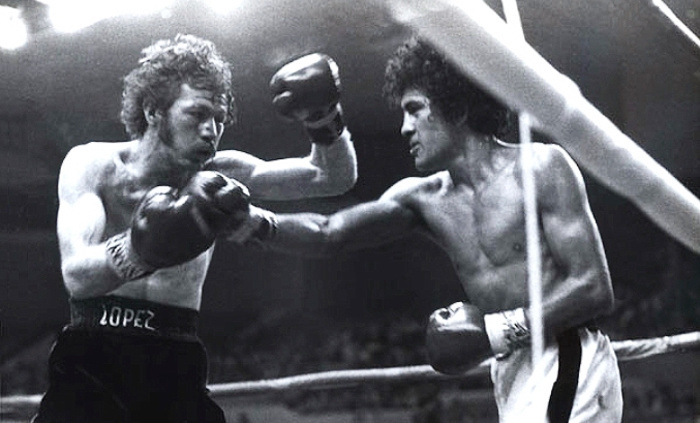 On that night in 1980, however, Lopez’s opponent stole the show and the legend of Salvador Sanchez began. Despite his short career in the ring, Salvador Sanchez is considered one of the greats and a look at his work even at the tender age of twenty-one will tell you why. Sanchez was a complete boxer and fighter. Not the kind of fighter who could do a bit on the inside and have his way on the outside, or vice versa, but a boxer whose inside game and outside game played off of each other and worked in synergy. Against Lopez, Sanchez’s smooth footwork and disciplined head movement allowed him to get the better of exchanges and avoid most of the big hits from ‘Little Red’. Even on the occasions that he got caught out, Sanchez would pivot, move his head, change direction or move in to smother Lopez. This was a man with ringcraft well beyond his years. Sanchez would show a stiff, snapping, non-committal jab and connect it at a high rate while retreating. But his jab served just as well to enable his offense. A level change off the jab would slide Sanchez in underneath Lopez’s return and enable him to bang the body or return to an upright posture and throw a counter at Lopez’s head.